This is it! Your moment of truth! Are you going to take the ride into space with us? This will be the first time in history that people will be able to get their selfie out in space. It doesn't have to be a selfie of course, it can be a special message, a company logo, a family pet, and anything in between! You are purchasing one space selfie to be launched on the Waypoint 1 satellite, built by SpaceFab.US. Your image will be launched with the satellite, and after the initial checkout of the satellite, the picture of your image and the orbiting spacecraft with Earth in the background will then be downloaded via our laser link. 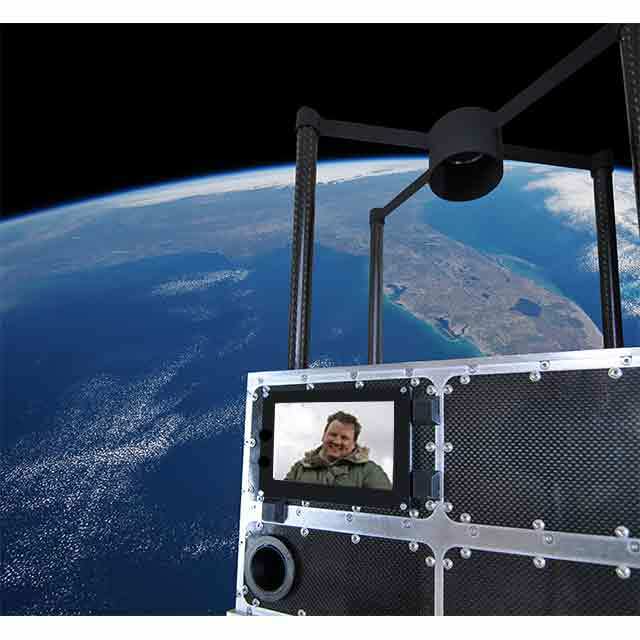 The space selfie will then be sent to you via email, or a link to your image on our servers will be emailed. We will send out the requests for your pictures to be uploaded to our server prior to launch. If there is a launch failure or our satellite fails to function properly, your image will be launched on the replacement satellite. If we are, for some reason, unable to complete this project, we will make a reasonable effort to find another way of bringing the project to the best possible conclusion for you, the customer. We will post updates on our website that explains what work has been done and the status of this project. There may be promotional images on the spacecraft itself which may be visible on the space selfie picture.